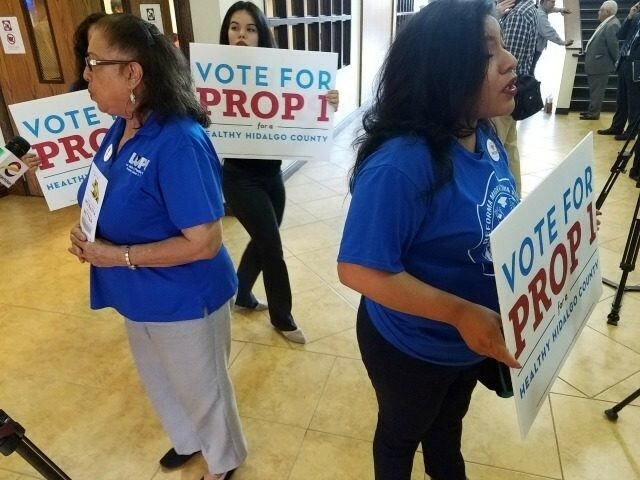 MCALLEN, Texas — Members of a political watchdog group are calling out the tactics being used by public officials in the border county of Hidalgo to ensure a new taxing entity wins voter approval. As Breitbart Texas has previously reported, Democrats in Hidalgo County have been pushing for the creation of a new taxing entity that would increase the burden on property owners to fund a health care district to cover indigent healthcare costs. The proposal is listed on the ballot as Proposition 1 locally. Opponents of the proposed tax have stated that indigent healthcare is already funded by the county and the move is simply a way for hospitals to increase revenues at the expense of taxpayers. Opponents have also called out irregular electioneering tactics by some supporters of the proposed taxing jurisdiction, yet public officials have apparently ignored their claims. The most recent move to push for the healthcare district appears to be done with the help of the county elections office, according to critics. 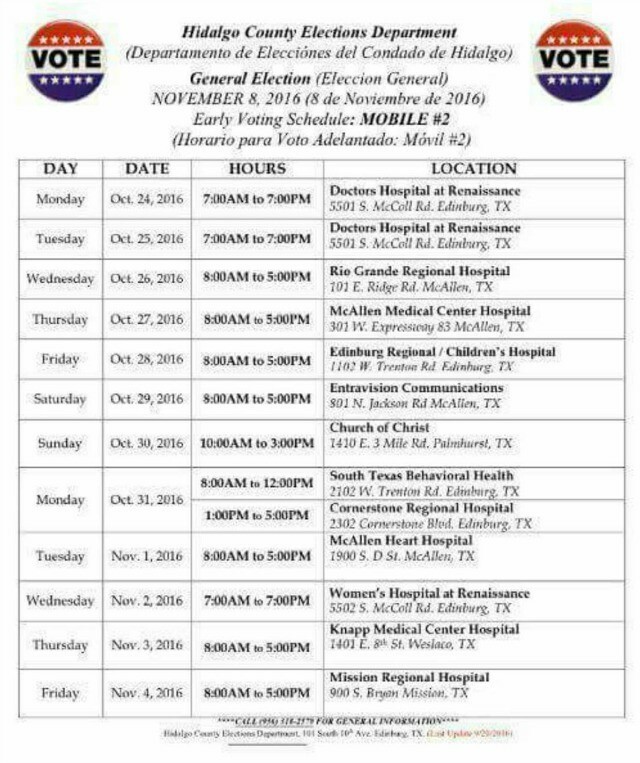 The new list of early voting places revealed that over a dozen locations are hospitals or clinics that would allegedly benefit from the healthcare district. Texas election law allows counties to select voting locations with little oversight from state or federal officials. The list has been deemed outrageous by members of the Vote No Hidalgo Prop 1 PAC in an attempt to stop the measure. 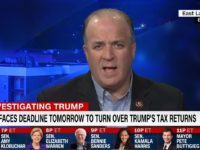 Breitbart Texas previously reported how some of the top politicos in the county, including the commissioners court judge and some state representatives, have been receiving thousands in donations from supporters of the proposed tax district. Fern McClaugherty, one of the most outspoken individuals against the proposed healthcare district, told Breitbart Texas that heavy financial and political interests have been pushing for the measure on the ballot. She argues that the effort includes various border politicians mobilizing their supporters and low-income voters with misinformation.